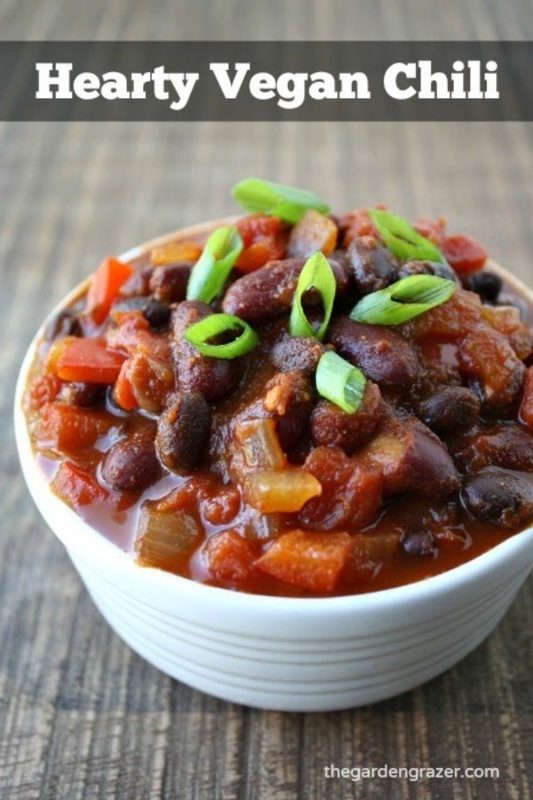 Hearty Vegan Chili - Chilly? Chili! The award for ultimate cold-weather comfort food definitely goes to chili. Thick, dense goodness packed with nutrients and protein that warms you from the inside out. Toppings of choice: green onion, avocado, cilantro, vegan sour cream, etc.